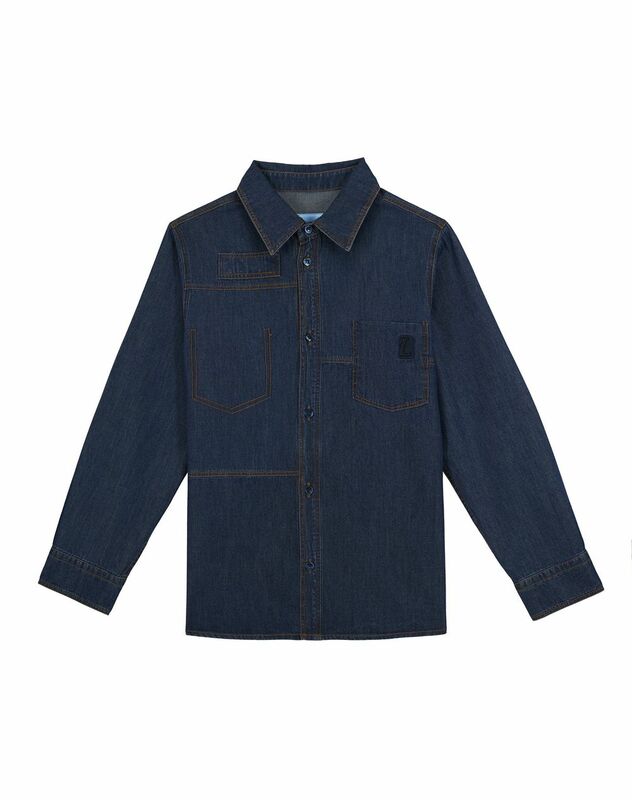 Long-sleeved blue denim shirt, breast patch pocket with exclusive “L” embroidery and patch, shirt collar, contrasting topstitching, and front button fastening. 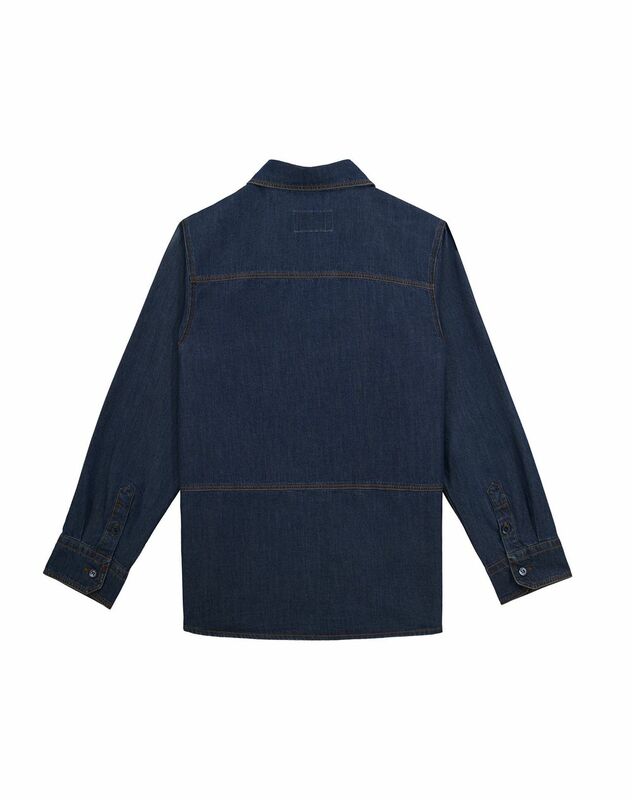 This denim shirt is inspired by adult attire and stands out for its contrasting topstitched details, in line with the Lanvin men’s DNA. 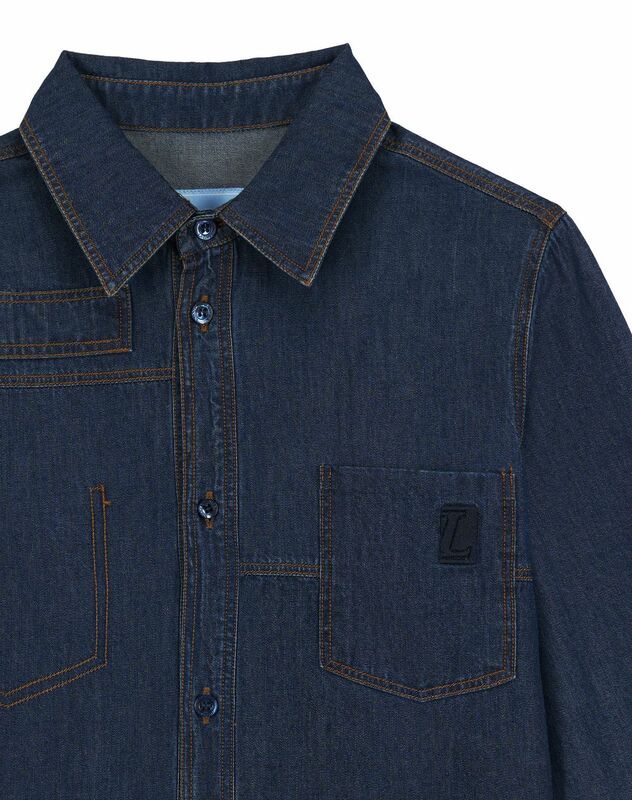 Elegant yet comfortable, this denim shirt is a must-have addition to any wardrobe.